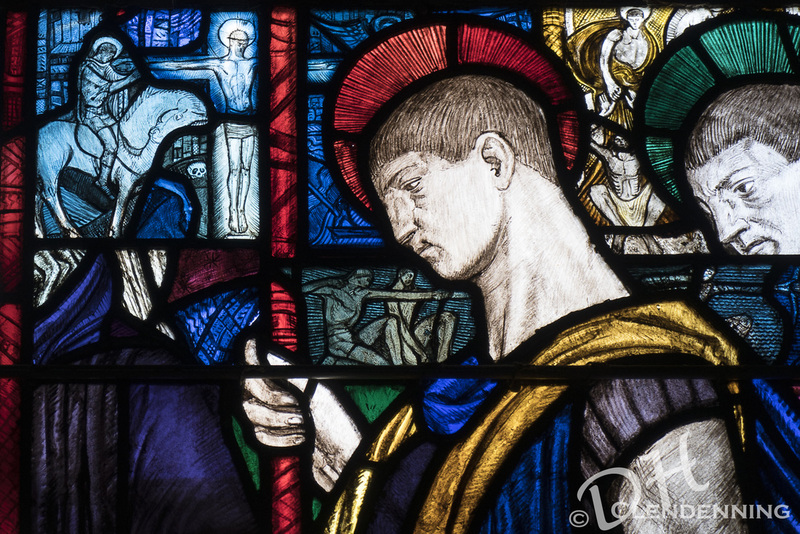 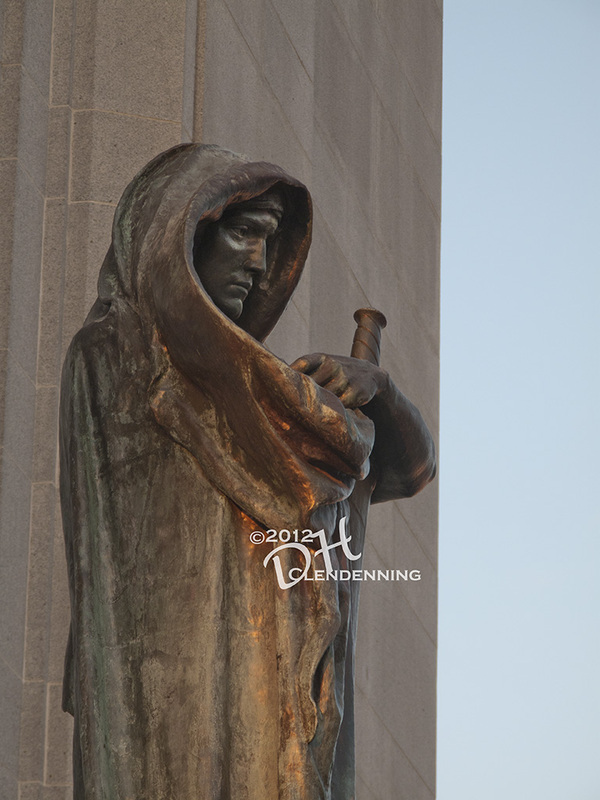 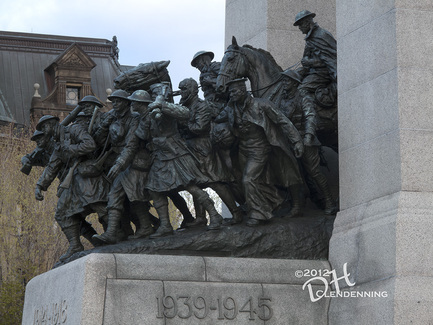 In 1926, British sculpor Vernon March won the competition for Canada's First World War memorial in Ottawa. 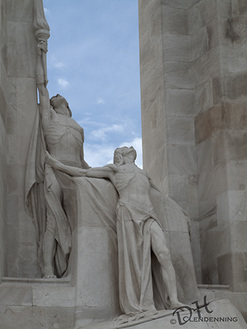 The sculpture to commemorate "The Response." 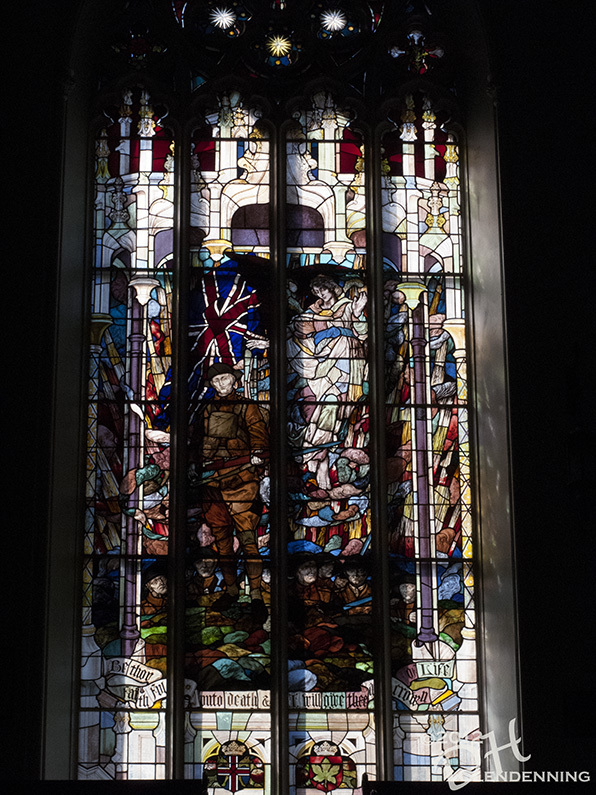 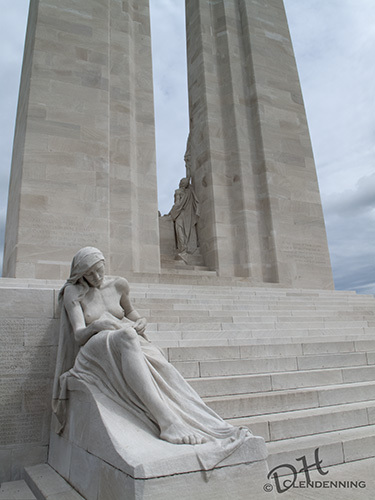 of Canadians in the First World War, has, over the years, come to symbolize the sacrifice of all Canadians who have served Canada in time of war in the cause of peace and freedom. The dates 1939-1945 and 1950-1953 have been added in bronze numerals on each side of the memorial. 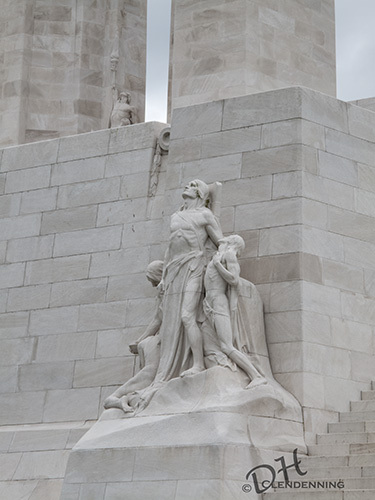 Rising 21 metres from its base, the memorial consists of twenty-two larger-than-life bronze figures, including infantrymen, an airman, sailors, gunners, cavalrymen, a nursing sister and others advancing through an arch of granite bearing the allegorical figures of Peace and Freedom. 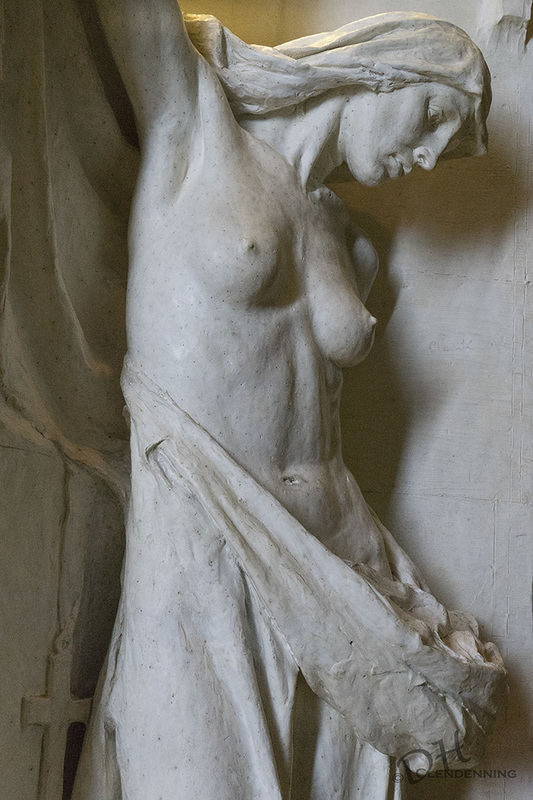 The allegorical figures of peace and freedom at the top to the monument are 5.33 metres in height. 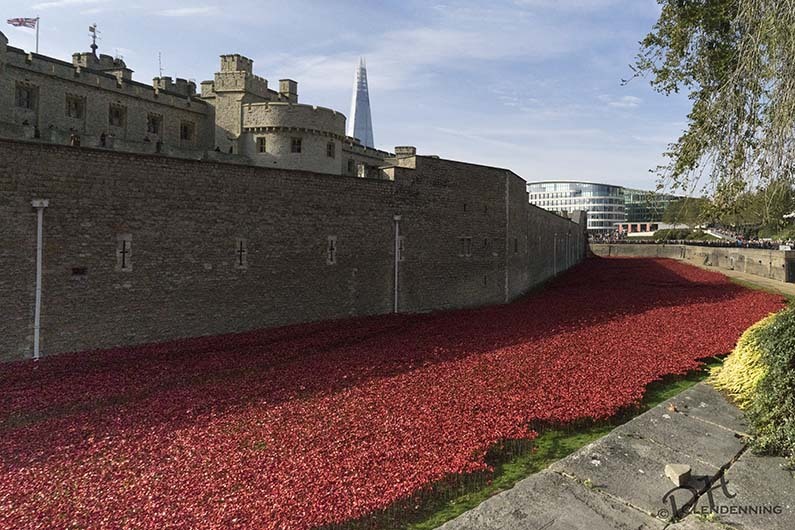 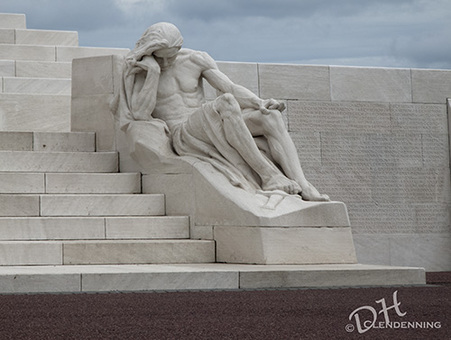 The figures are one-third greater than life size, each standing about 2.44 metres tall. In the faces of the marching figures there is character and purpose, sincerity and good intent. 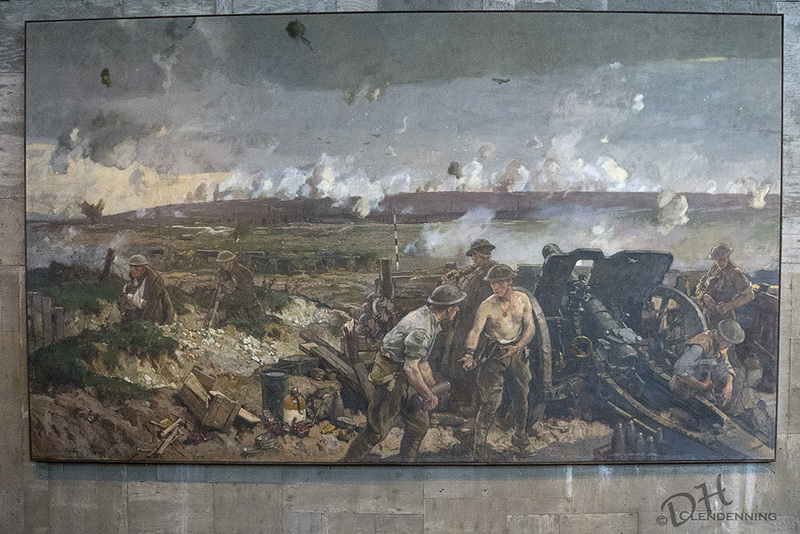 The figures are not shown in fighting attitudes, but rather express movement and the enthusiasm and eagerness of the people. 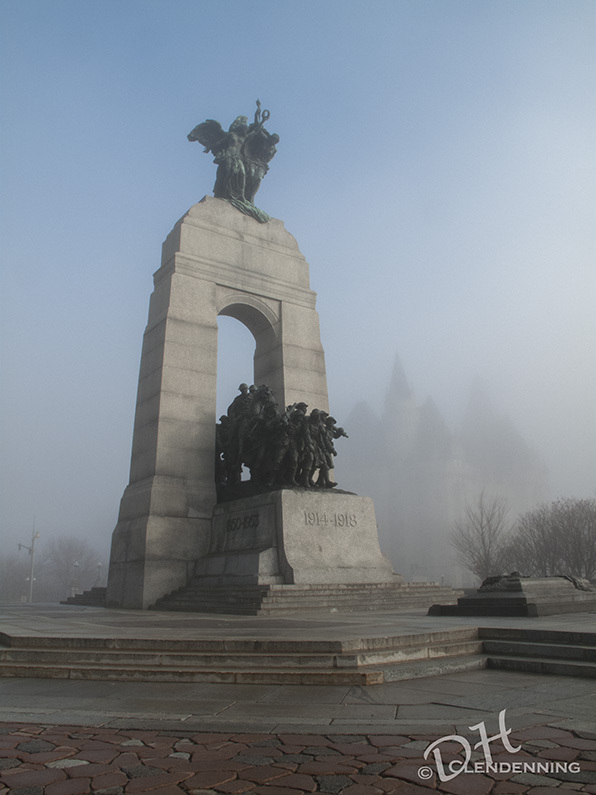 King George V1 unveiled the National War Monument in May 1939, just over three months before the outbreak of the Second World War. 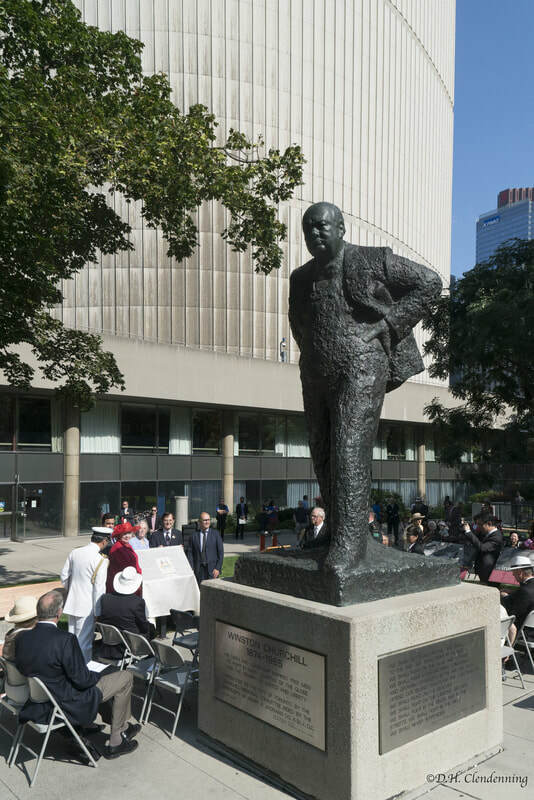 Atlantic Charter Plaque Dedication, Toronto City Hall, Churchill Square, August 14, 2017. 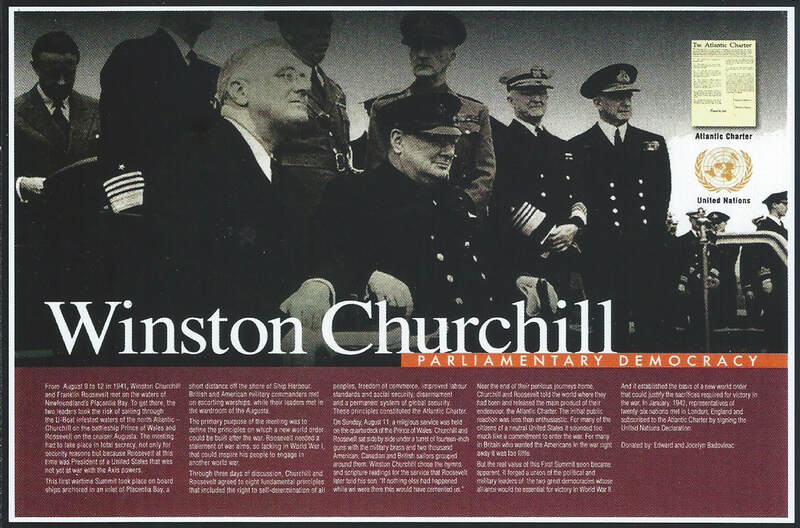 The President of THE UNITED STATES OF AMERICA and the Prime Minister, Mr. Churchill, representing HIS MAJESTY'S GOVERNMENT IN THE UNTED KINGDOM, being met together, deem it right to make known certain common principles in the national policies of the respective countries on which they base their hopes for a better future for the world. 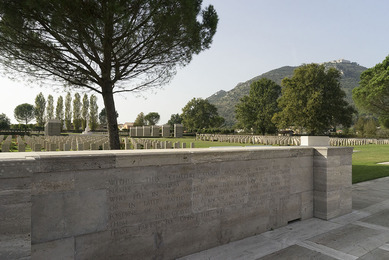 ​8. 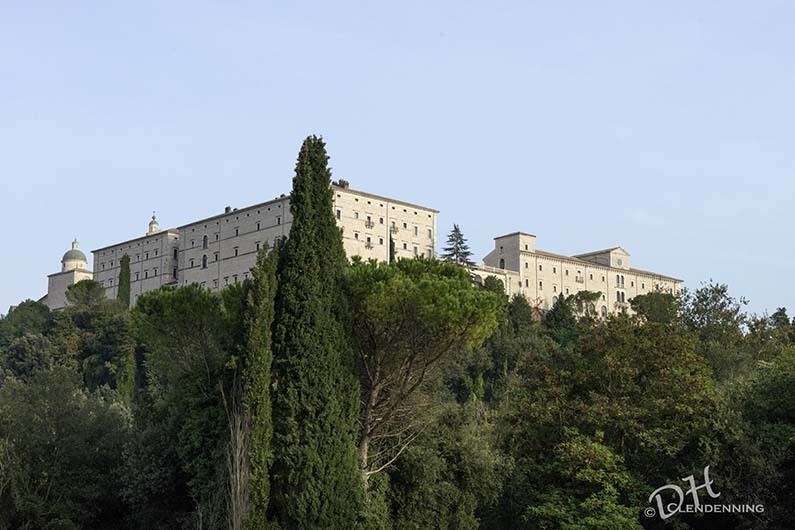 They believe that all of the nations of the world, for realistic as well as spiritual reasons must come to the abandonment of these of force. Since no future peace can be maintained if land, sea or air armaments continue to be employed by nations which threaten, or may threaten, aggression outside of their frontiers, they believe, pending the establishment of a wider and permanent system of general security, that the disarmament of such nations is essential. They will likewise aid and encourage all other practicable measures which will lighten for peace-loving peoples the crushing burden of armaments. 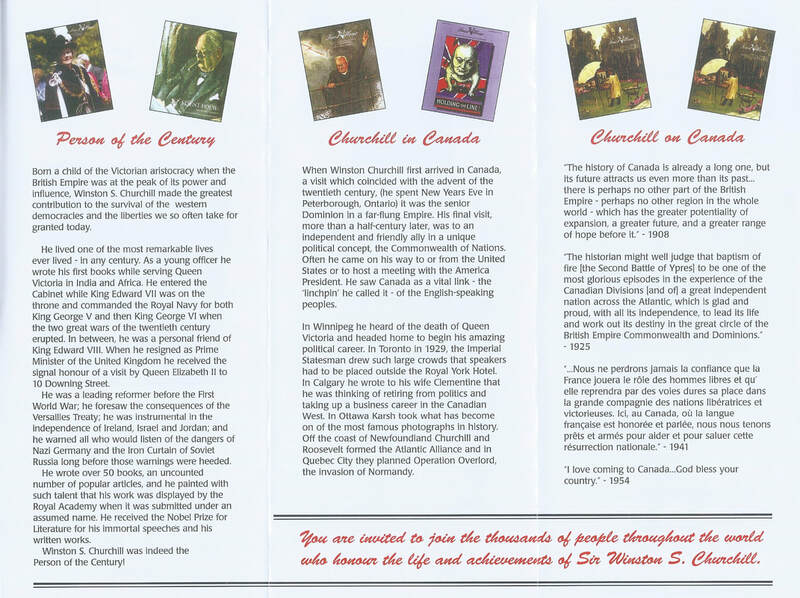 Prepared by the International Churchill Society Canada. 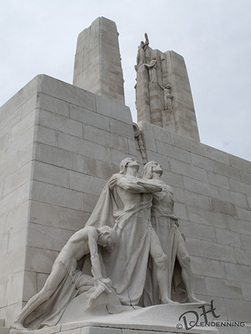 The Prime Minister, Justin Trudeau, announced today that he will travel to France from April 8 to 10, 2017, to attend commemorations for the 100thanniversary of the Battle of Vimy Ridge. 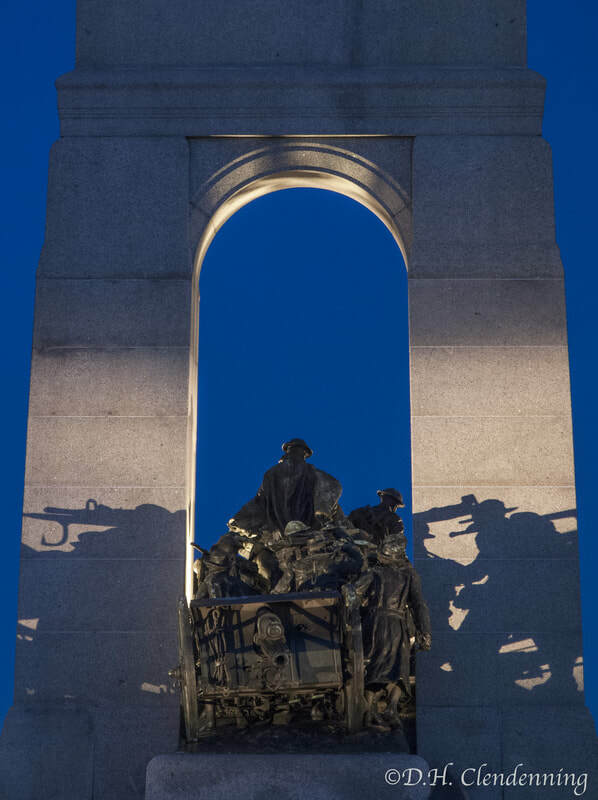 He will join His Excellency the Right Honourable David Johnston, Governor General of Canada, Their Royal Highnesses The Prince of Wales, the Duke of Cambridge, and Prince Harry, as well as Kent Hehr, Minister of Veterans Affairs and Associate Minister of National Defence, Harjit Sajjan, Minister of National Defence, and General Jonathan Vance, Chief of Defence Staff for the Canadian Armed Forces. More than 650,000 Canadians served in the First World War, which lasted from 1914 to 1918. 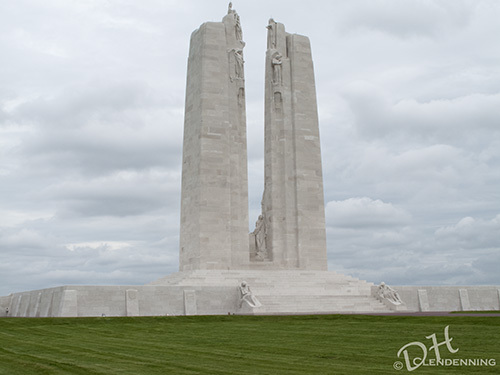 The Canadian assault on the German positions at Vimy Ridge began on Easter Monday, April 9, 1917. The Battle of Vimy Ridge lasted four days, ending with an impressive Canadian victory. This was the first action in which all four divisions of the Canadian Corps – representing every region of our country – fought together side-by-side on the same battlefield. 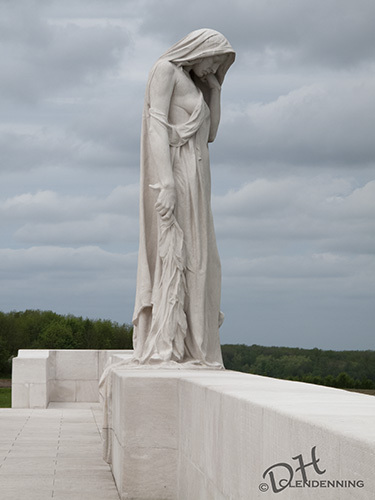 Of the more than 10,600 Canadian casualties at Vimy Ridge, some 3,600 soldiers lost their lives. 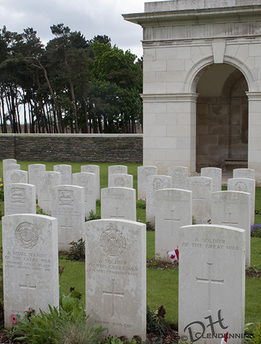 Four Victoria Crosses were awarded to Canadian soldiers for their bravery at Vimy Ridge. 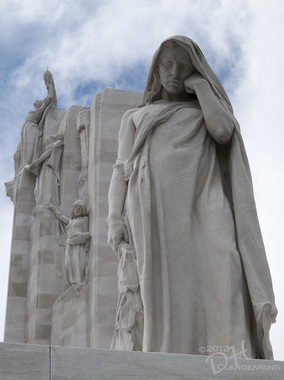 The Canadian National Vimy Memorial was designed by Canadian sculptor and architect Walter Seymour Allward. 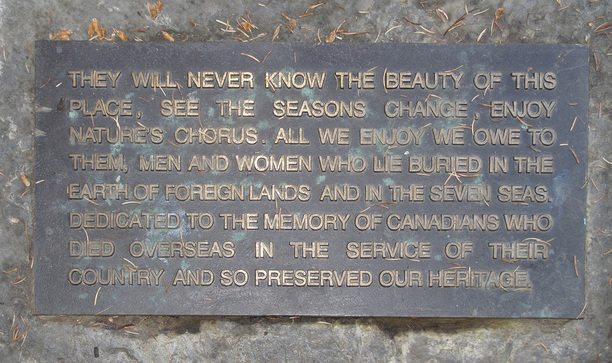 It was unveiled on July 26, 1936, by King Edward VIII. 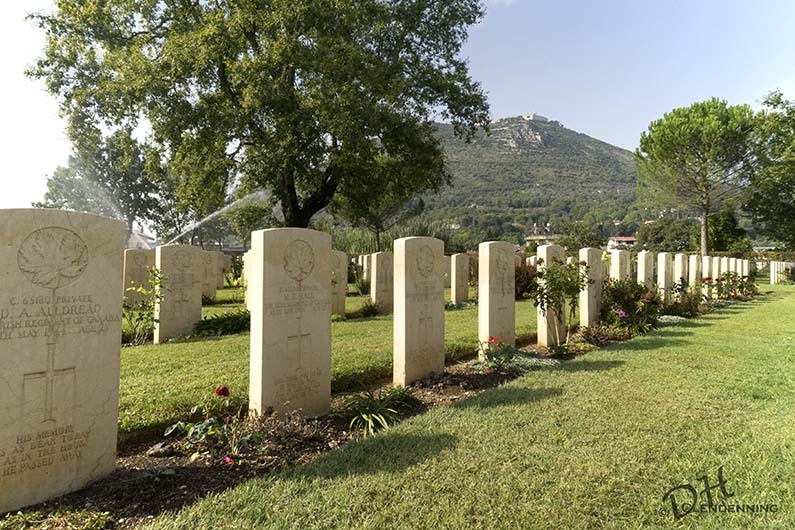 Inscribed on the base of the memorial are the names of 11,285 Canadians who lost their lives in France during the First World War and then had no known graves. 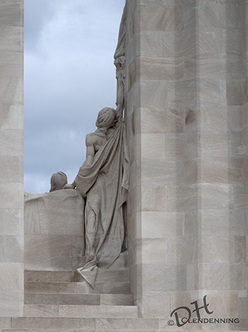 Canadians are encouraged to follow the commemorations via social media by using #Vimy100. 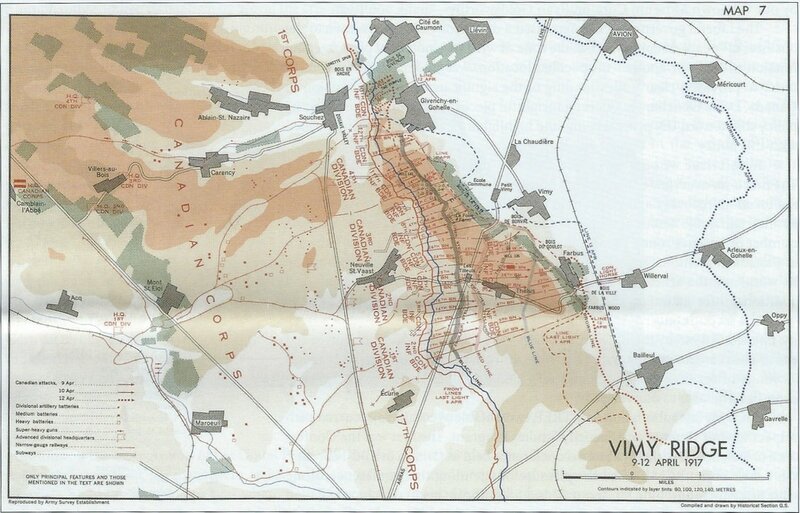 Vimy Ridge, 9-12 April 1917. Source: Canadian War Museum.